Mathematical models underlie decisions in science and industry and economics and business, and using mathematics to solve problems can improve our lives. 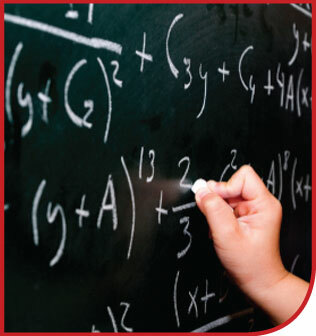 The primary goal of this course is mathematical literacy – for the student to understand how mathematics is used in the world around us. The student will gain this broad understanding of contemporary mathematics through the study of the following specific topics. Find Optimal Solutions using graph theory. Analyze and Manipulate Data to demonstrate probability and statistics. Identify and discuss various voting systems in terms of fairness and social choice. Use Game Theory to navigate conflict strategies. Discuss information science as it pertains to identification numbers, codes, and cryptography. Apply Dynamical Systems and Chaos to biological populations and management of resources.